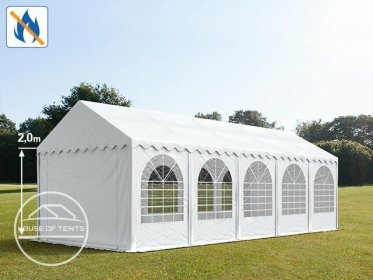 In our House Of Tents shop you will find information and advice on our marquees. 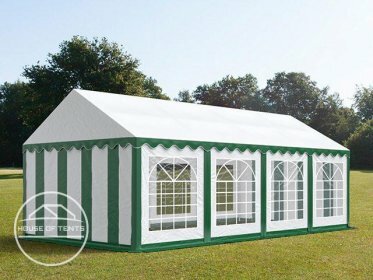 Marquees are available in different colours, qualities and sizes: From good quality, inexpensive PE marquees to extra-high, fire-resistant PVC tents with statics. Gain an overview of our range of products and find the right marquee for your needs. Moreover: The majority of our products are guaranteed replacement parts for 10 year from the date of purchase. Marquees and gazebos can be used in many different circumstances. For example, as a shelter at garden parties, as a shelter for outdoor pools or as an exhibition stand at trade fairs and markets. The range of uses is vast. 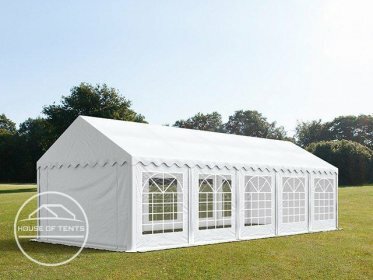 House Of Tents provides marquees in sizes from 3x2 m to 8x36 m. Ranging from small garden pavilions to large marquees - everything to fit your needs. 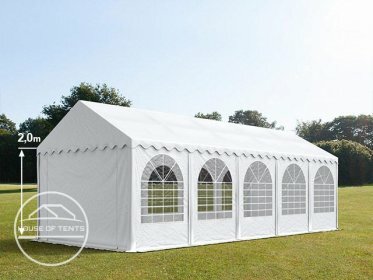 Our marquees are designed for long-term, regular use. Individual frame components are inserted into each other, secured using inserted screws and bolted – experts call this bolting. This type of connection is much more robust and durable than fragile click systems. Large, stable arched windows in the side walls create an light, open atmosphere in the marquee. The individually removable wall sections are constructed so that oxygen can enter the tent and stuffy, damp air can exit - thus the tent has a comfortable climate, even when closed. The wall and gable sections of our marquees can be individually removed for different entrance possibilities and several centimetres rest on the ground for securing it. The wall sections can then be secured via eyelets in the tarpaulin and ground nails (included in delivery), to prevent movement of the tarpaulin and draughts. Once dismantled, the marquees can be conveniently transported and stored in special storage bags made from hard-wearing Oxford material. With correct use and good care, you will be able to enjoy your marquee for many years to come. When standing, a guest requires 0.5 m2, a seated guest requires approximately 0.7 m2 on average. 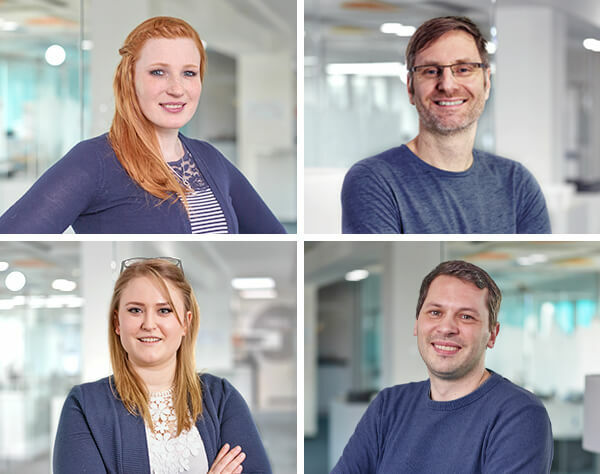 On a German beer tent table and bench set, each person requires approximately 0.8 m2 and between 1 to 1.2 m2 when seated at a table – although numerous persons share one table. Thus, a 6x8 m marquee accommodates approximately 96 standing guests. Passageways and escape routes are already considered in this calculation. 2. Tarpaulin material: PE or PVC? PE tents are more affordable, but are not as robust as PVC tents. They are better suited to occasional use. With an average weight of 240g/m², PE tarpaulins are relatively light, making them noticeably easier to use and store. Due to their durability and sturdiness, PVC tents are suitable for year-round use. PVC tarpaulins are approximately two or three times heavier than PE tarpaulins. As a result, use is slightly more arduous and the tent requires a bit more space for storage. PVC is fire-resistant: It is better to be on the safe side if barbecuing in or near the tent, or fire will be used. Similarities: Both PE and PVC provide exceptional protection from wind and bad weather. House Of Tents marquees are designed for a good climate. For optimum air supply, air can circulate between the 2 m-wide wall sections without causing a draught. In addition, the wall and gable sections can be installed individually. This enables a variety of alternative constructions: From completely closed to completely open. House Of Tents offers the following qualities for marquees: PE tent, Economy, Premium up to Professional. The quality categories vary in tarpaulin material, frame construction and stability. All quality categories feature a fully-galvanised, anti-corrosive, steel frame and individually removable wall sections. The standard side wall height is 2 m. Premium and Professional marquees are available in an additional 260 different varieties. These features a wall height of 2.60 m - in this case the roof height is 3.40 m. At this height, many more alternative uses are possible: For example, set up a stage or use the extra space for decoration. PE tents and tents in the Economy product line are equipped with the same frame, but feature different tarpaulin materials. PE tents feature 240g/m² PE tarpaulins, whilst Economy marquees feature 500g/m² PVC tarpaulins. Upper-range product lines such as Premium and Professional differ both in the quality of the tarpaulins and frames. In Premium products, 500g/m² PVC is used, whilst Professional marquees feature 550g/m² PVC tarpaulins. Due to a base frame and roof reinforcement, the frame in Premium and Professional marquees are especially stable. The Professional product line features an extremely stable, thicker frame. PVC tarpaulins are fire-retardant If you want to go the extra mile, purchase a fire-resistant-certified PVC marquee. This will ensure the highest level of safety for guests and meets official fire protection requirements. For example, our fire-resistant tents comply with the following European standards: GB EN 13501-1 or DE – DIN 4102 – B1/B2 or CH-BKZ 5.2. Thus meeting, German, Austrian and other European fire protection regulations. At the same time, our fire-resistant marquees are just as comfortable and mobile as our conventional tents. Few of our competitors provide true certified, really fire-resistant tents. Improve the stability of your tent using accessories. Use our storm set for additional safety and greater stability. It features robust, tension belts and ground attachments. Depending on the ground surface, professional ground nails or concrete anchors can be selected as ground anchoring. The Safety Plus Package offers the maximum level of stability for your tent. The Safety Plus Package provides tents in the Professional and Professional Plus product lines statics, certified by German engineers. 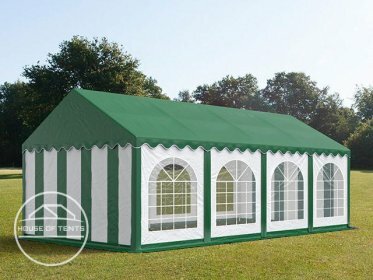 Provided that the marquee is correctly assembled, statics ensure that it withstands winds of up to gale force 10 or loads or up to a maximum of 50 - 60 kg/m². The entire construction is additionally stabilised and secured by a specially designed steel rope system, a ground anchoring system and reinforced tension belts with ratchet fastenings. Depending on the type o ground, professional ground nails or concrete anchors and be selected. Using the Safety Plus Package with PE tents and tents from the product lines Economy, Economy Plus, Premium and Premium Plus cannot guarantee certain qualities regarding wind and snow loads. However, the Safety Plus Package can increase stability and wind resistance for these tents. 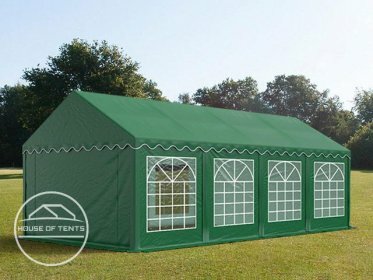 The more complex a tent, the more time required for assembly. If the tent features a base frame and roof reinforcement, in general it will take longer to assemble as more components need to be installed. 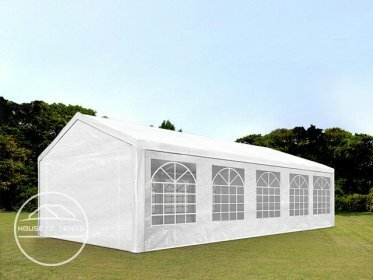 Marquees from House Of Tents are simple to assemble and don’t require any additional tools . Normally, only an Allen key is require - this is included with the tent. The components for the frame of the tent are labelled and are easy to identify during assembly. The assembly instructions are simple and guide you through the assembly step by step. We recommend the use of a ladder if assembling a marquee with walls higher than 2 m.
The tarpaulin should be cleaned and inspected regularly. Otherwise the sturdiness against environmental influences might not remain intact. Our special PVC/PE cleaner gently removes stubborn stains. If damage is determined during cleaning, this should be promptly repaired. Otherwise, the damage may worsen. Using the House Of Tents repair set , minor tears in the tarpaulin can be mended or eyelets that have been torn out can be replaced. The repair set contains tools and materials for fast, simple repair of your marquees. In the case of significant damage, components should be replaced. We will gladly provide support. Simply contact us and we will help you to find the correct replacement part. 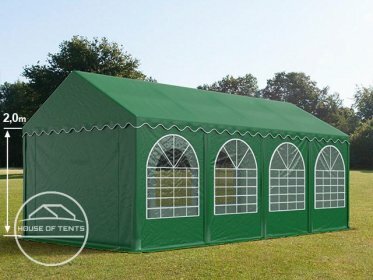 House Of Tents has approximately 100,000 replacement parts in stock. For many of our tents we provide replacement parts for up to 10 years from the date of purchase. Hardly any of our competitors offer this service.